We are so excited to present this year's Valentine’s Cupcakes by Abby in 3 delicious flavors, and an additional special vegan flavor. Specialty cheesecake also available - Chris has created two options for you, details below. 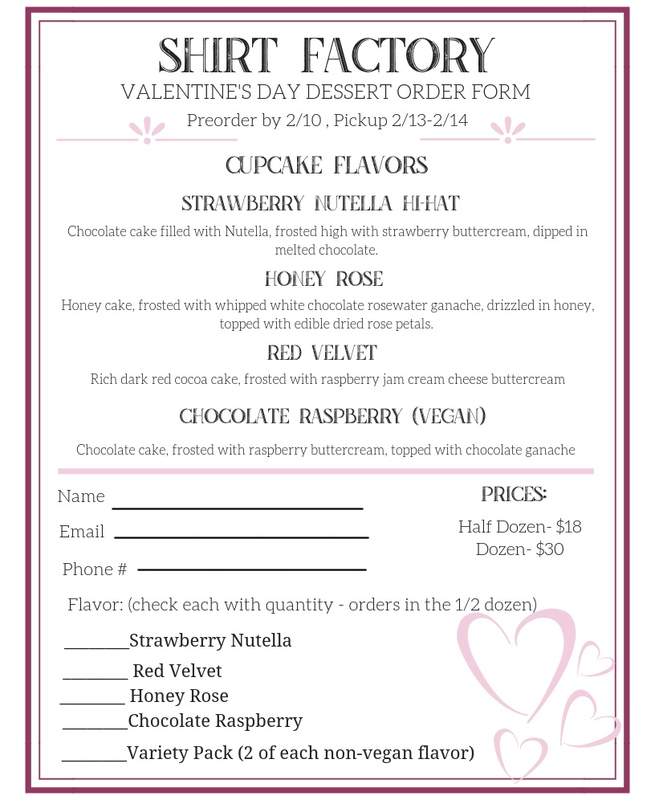 Order yours by February 10th, pick up on February 13th or 14th, just in time for the holiday! Peruse the flier for flavor descriptions and prices, and order online or at the Factory.